“Snug as a bug in a rug.” Have you ever wondered what this expression actually looks like? 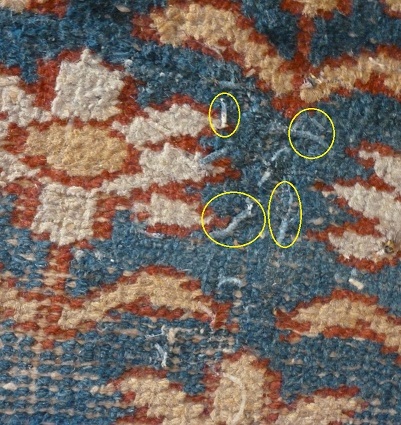 Many objects found in historic homes are tasty treats for the larvae of clothes moths and carpet beetles. Unlike adult moths and beetles, which you may see flying around the room or on windowsills, these larvae like to hide away in dark, undisturbed places. They are quite voracious and will eat wool, hair, feathers, silk, leather, fur, and dead animal or insect carcasses. 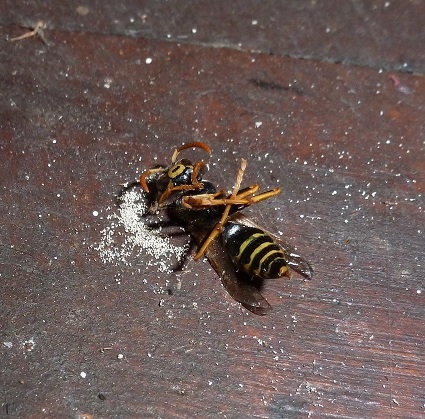 As the larvae eat, they leave behind small piles of excrement mixed with the material that they happen to be eating. This sand-like residue is called frass. 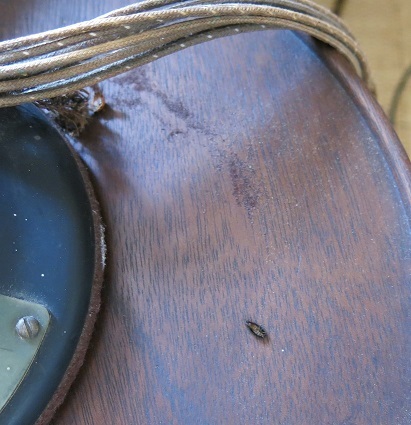 Small piles of frass under castors, rugs, or other objects indicate a pest problem. 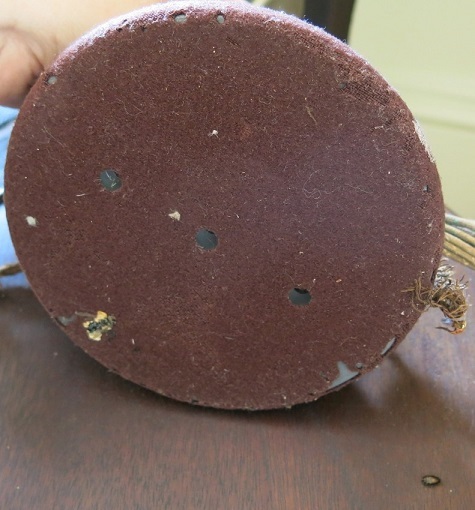 At Historic New England, when our collection services team finds an infestation in a museum object, we thoroughly inspect and clean the room (or, in some cases, an entire house) and transport the infested objects to our collections facility in Haverhill, Massachusetts. There, the objects undergo an anoxic environmental treatment process to eradicate the pests. Once the treatment cycle is complete, each object is carefully vacuumed and then returned to its house museum. Sticky traps and insect pheromones help us keep an eye on insect activity and monitor each house for signs of additional outbreaks. To learn about other types of museum pests, visit www.museumpests.net. Historic New England’s carbon dioxide pest treatment system is available for rental to museums and individual collectors. Learn more. To help with the overall protection of Historic New England’s unique collection and the fight against museum pests, please consider a donation to the Collections and Conservation Fund.